Gertrud Elizabeth Meyer, 92, of Sister Bay died peacefully with loved ones by her side at Scandia Village. She was born in Bremen, West Germany, the daughter of the late Friedrich and Anna (Hoyer) Meyer. Gertrud studied education in Germany before obtaining her Ph.D. from Mount Mary University in Milwaukee. She worked as a teacher in the Wauwatosa School District for 23 years before retiring in 1982. During her career, Gertrud was the head of foreign language in the school district. She is survived by her brother, Hans Ludwig (Anneliese) Meyer of Westerstede, Germany; and nephews, Uwe, Claus, and Thorsten, all of Germany. Gertrud will be missed by her “American family,” Jeanne and David Aurelius, Lauren Aurelius, Marjorie June Aurelius, Fred Wahlen, Martha Hutchinson, Adam Hutchinson, Sylvia Youell, Tom and Sue Sullivan, and Doris Prenzler; and close friends, Nancy Williams, Carol Ama, Bob and Sharon Kaminsky, and Alysanne Burkhardt. She was preceded in death by her parents and dear friend, Dr. Blanche Bradley. 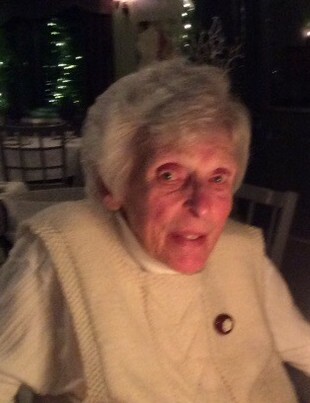 Gertrud’s life will be celebrated on Friday, Feb. 15, at 1 pm at Casperson Funeral Home in Sister Bay. Gertrud will be laid to rest next to her lifelong friend and companion, Dr. Blanche Bradley, in the Blossomberg Cemetery in Fish Creek. Visitation for friends will be from 12 to 1 pm on Friday at the funeral home. Memorials can be made in Gertrud’s name to Scandia Village, 10560 Applewood Road, Sister Bay, WI 54234 or The Clearing, P.O. Box 65, Ellison Bay, WI 54210. Expressions of sympathy, memories and photos of Gertrud can be shared through her tribute page at caspersonfuneralhome.com.